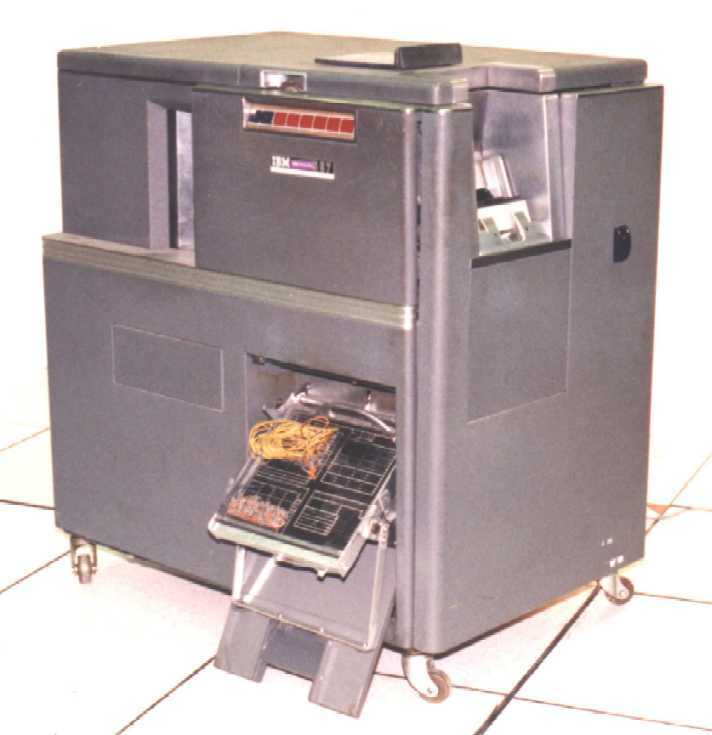 The IBM 557 Alphabetic Intepreter, with plugboard chamber open and plugboard showing. Purpose: to print characters across the top of each card corresponding what is punched in each column. The Interpreter was normally used with decks that were output by an online punch or a reproducing punch, or produced in a key punch with a dry or missing ribbon. Custom functions could be programmed on the plugboard. CLICK HERE for more about plugboards. Photo: Found at a Finnish computing history website (now defunct).